Physical discomfort. That's the second thing I thought of, when I was thinking about why people quit meditating. 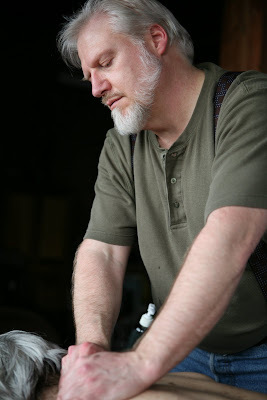 They will sit rigid, in incredibly uncomfortable postures, trying to hold still, hoping their minds will settle, while their mind runs through an increasingly tight loop of being distracted by discomfort, and attempting to ignore the discomfort, returning to the object of meditation, and being distracted again. Pretty soon the object of meditation drops out of the loop altogether, and all they've got is the discomfort and the attempt to ignore it. It's not surprising that after a session or two of this people conclude that meditation is not going to work for them. There's a right way and a wrong way to sit, and there's a right way and a wrong way to handle physical discomfort. If you do either the wrong way, your meditation practice is probably not long for this world. 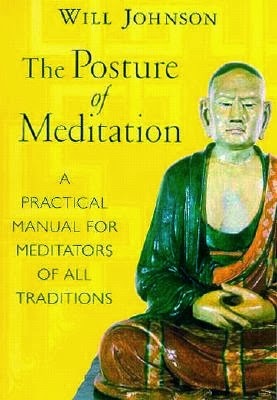 Will Johnson wrote a wonderful little book, The Posture of Meditation. If you aren't clear on how to sit, and don't have a teacher handy, I strongly recommend getting it. 2) Or sit in a chair. Being able to sit comfortably in a lotus position is not something that's determined by how enlightened you are. It's determined by how much you sat that way when you were growing up. For most of us Westerners, that's not very much. Give yourself a break. 3) Whatever you're sitting on, scootch forward so you're sitting on the edge of it, so that your pelvis tilts forward. If you don't do this, your spine won't form its S curve -- it will be more like a C -- and soon, soon, you will be miserable. Trust me on this. 4) Sit up as straight as you can. I always picture (was this an instruction somebody gave me at some point?) Milarepa reaching down from the sky, seizing me by the hair at the top of my head, and pulling me upright. That straight. Then let it all settle a little, so it's comfortable. Let your shoulders hang loose. Put your hands anywhere that makes that possible -- put them on your thighs, or fold them in your lap. 5) Sway a little, in a circle, and make sure that you're really plumb to the floor. Picture yourself as a stick that someone's trying to balance on end. Find that balance point. Then let your head sway in a little circle. It should balance the same way, on top of the stick. Keeping yourself upright, at this point, should take very little muscular exertion. Almost none. Some traditions are very strict about sitting absolutely still, and "white-knuckling" your way through the discomforts. That works for some people, but I don't think it's necessary, or (usually) desirable. All that you need to do is delay your response. Work with it. The back of your hand will itch. A lifetime (at least) of habit will urge you to scratch your hand. Don't do it. Let the itch be there. Experience it as vividly as you can. If your attention has left the object of your meditation, put it back, without trying to block out the itch, or make it go away. If you refrain from scratching once, and just notice the itch, without trying to make it go away, you have just done something with your experience that is profoundly different. Doing that, just once, is good enough. You can go ahead and scratch after that. Or you can push it further. Keep on refraining from scratching. Watch how your mind reacts to that. (It's usually pretty entertaining to watch.) But if you come to the point where your whole mind is occupied with the struggle not to scratch -- just scratch. Stay with the object of meditation, or return to it, if you've dropped it -- and just start fresh. You have NOT failed. You have done exactly what you set out to do -- practiced a new habit of mind. A habit of awareness, rather than knee-jerk reactivity. And again, if this happens five times, ten times, a hundred times in the course of your sit -- so much the better. So much more practice. Itches are a great place to start. Pain is a little trickier, because it's always possible that the pain is a real signal that your body is resting in a way it shouldn't. In the very beginning, if you've got a pain telling you to shift somehow, just shift. Get comfortable again. If it was a real signal, it will go away. But usually what happens is that you'll find that -- lo and behold! The new position, too, is a painful one! And if you shift again -- so is the next! Even though, really, you are sitting in a position that's far more comfortable than the position you usually adopt to sit at the dinner table, or to sit at a keyboard. Two things are probably in play at this point. One is that you need to develop the muscles that hold you upright in the meditation position. Either they're getting uncomfortably tired, or they're giving up the job and letting you sag into an uncomfortable position. With practice -- not very much practice, because the real muscle needed to sit properly is not very great -- the muscles of your back and abdomen will get stronger. The other thing in play is that your mind is afraid of holding still. It's your mind, not your body, that's uncomfortable. As you get more practice, you get better at distinguishing mental from physical discomfort. The lion's share even at the start is almost always mental, the mind latching on to some little molehill twinge -- something that you wouldn't even notice if you had the ordinary level of distraction in place -- and making a mountain of it. You can practice with this, exactly as with the itch. It's important to keep a light heart and a sense of humor. It's not a tragedy if your mind pulls a fast one on you. This is comedy. A little broad for sophisticated tastes, maybe. In the slapstick line. But it really is funny. When you do give up on holding still, you'll usually find that shifting just a little bit doesn't do you much good. It's better to really change position for a while. Hug your knees to your chest, or stick one leg out in front of you, or even get up and walk around for a little bit. Enduring discomfort of this sort is a little like "finding the stretch" in yoga. You go just a little past comfortable. Not a lot. It doesn't have to be a lot; in fact it shouldn't be a lot, usually. And a little past comfortable won't be the same on Thursday as it was on Wednesday. Some days letting a fly walk around on my face might be just past comfortable -- some days that might be unendurable. On those days, "just past comfortable" might be sitting still when a fly buzzes past my ear. Or even, sitting still when I know it's in the room. Objective measures are useless. Which is good, because it means that wherever my mind is, whatever state I'm in, I can always "find the stretch." And the stretch is equally valuable, no matter where I find it. If sitting still for three seconds after I realize that the window's open and a fly might get in the room is a stretch, then that's the stretch. And it's as valuable as any other stretch. Yeah, lotus position is not that good for me. Someone would knead to give me a massage after sitting lotusesque. please do not mistake meditation to be certain physical practice. it is not. take any position, but it is preferable and advisable to have upright spine. that's all. No, it's the training of attention and bringing it to bear on your own mindstream that matters, whatever you're doing with your body. Thank you, Eva! These are great tips. I have always gone to the massage therapist to relax. That lasts until I get home to my kids. This will help me out a lot more.